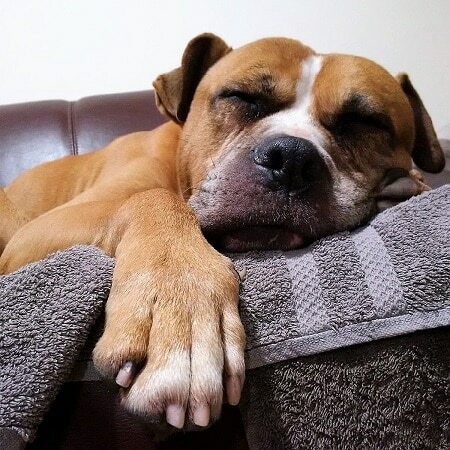 Please meet Sid, a brown and white, approximately 10 year old Boxer Cross who is now being looked after by All Dogs Matter in North London after losing his home. 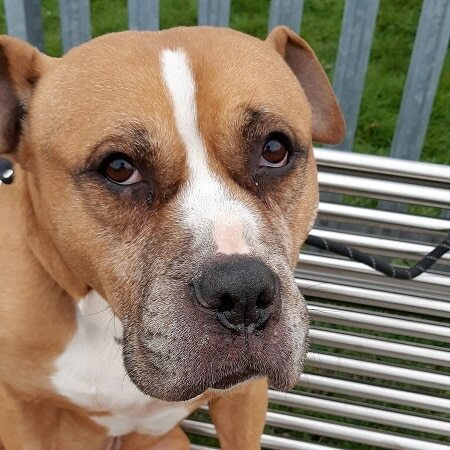 Sid is a lovely, large-sized boy who is ideally looking for a home with direct access to a garden and with someone who has owned bull breeds before. He is house-trained and understands his basic commands of sit, walk, stay, lie down, go to bed, come and, of course, “would you like a treat?”. Sidney has good recall, especially when whistled. 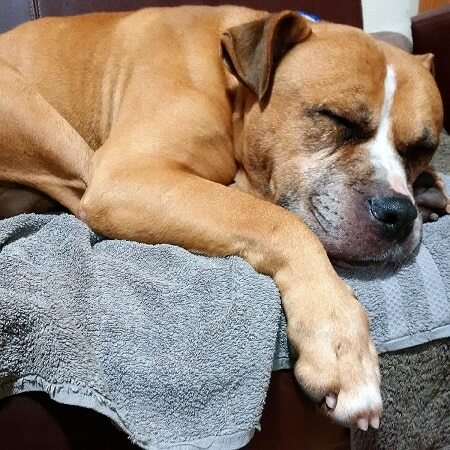 He sleeps through the night and is a placid and calm dog. 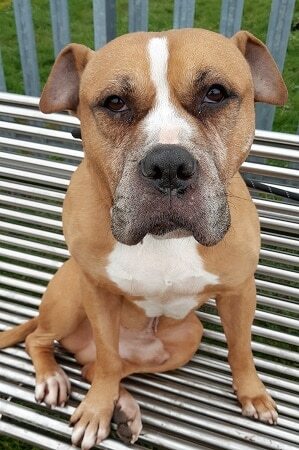 He could live with children aged 12 years and over and would prefer to be the only dog in the home where there are also no cats.